Vapesoon Silicone Rubber Skin is designed for Eleaf iCare. This rubber skin will not only protect your Alien MOD from scraping, but also give it a new look. 10 colors available. Vapesoon Silicone Rubber Skin for Eleaf iCare is a very practical accessory for the Eleaf iCare. 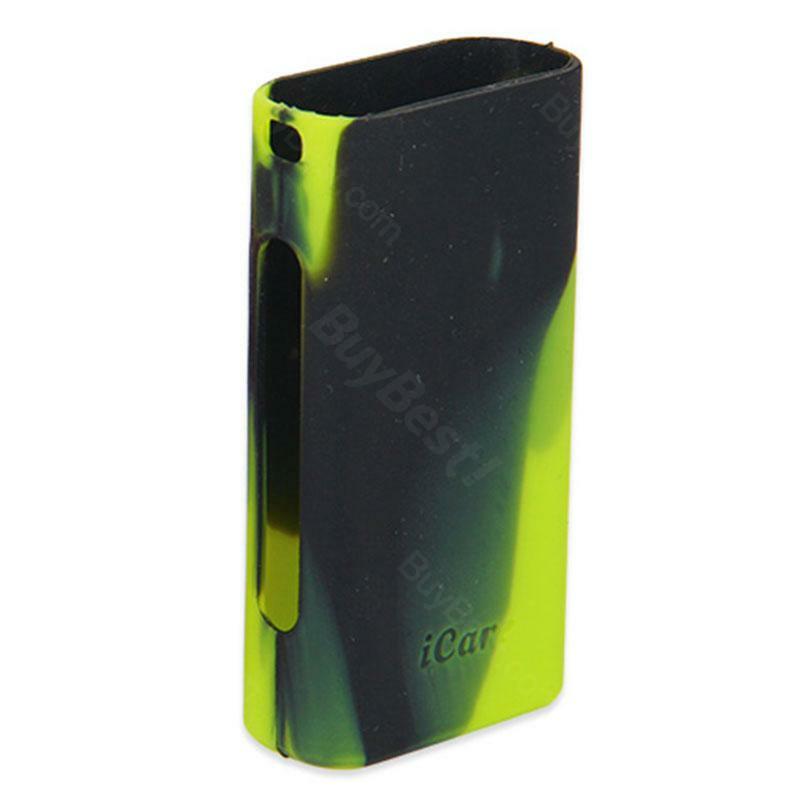 This rubber skin will not only protect your iCare MOD from scratches, but also give it a funky new look. There are 10 color options so there are plenty to choose which design you like! • It's for Eleaf iCare. Vapesoon Silicone Rubber Skin for Eleaf iCare Kit is a 2pcs Vapesoon Silicone case for Reuleaux RX2/3 Mod Rubber Skin Protection Silicon Skin for Eleaf iCare. Very happy with my Mod Shield by Jojo. It fits perfectly. Also delivery was a lot faster than expected, it came in half the time. I definitely give this 5 stars and would recommend them to anybody. I had an iCare before and it was broken from drops.